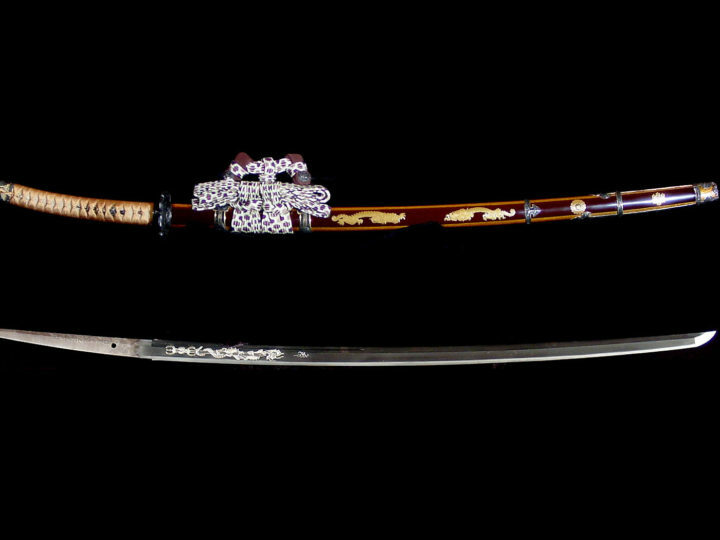 This is a lovely Itomaki no Tachi koshirae. 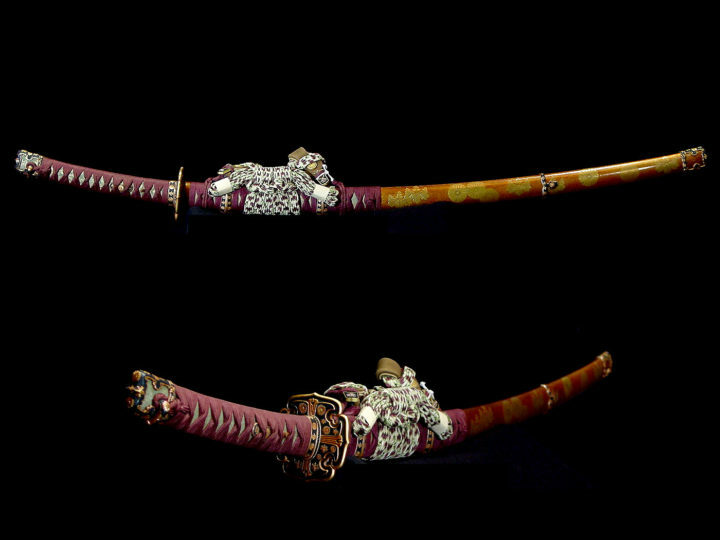 The saya is covered in bits of shell giving it a rich lavendar hue. 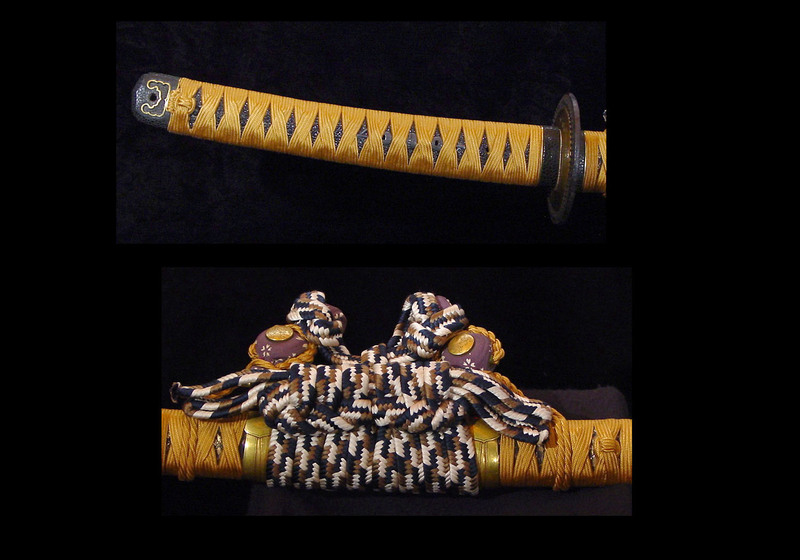 All of the metal parts are shakudo with a gold trim. 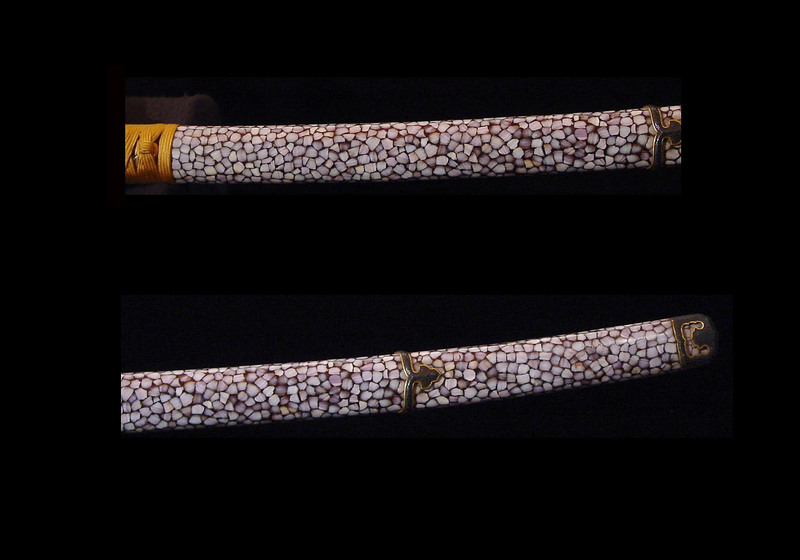 They are not the usual shakudo nanako, rather they are carved to resemble alligator skin. 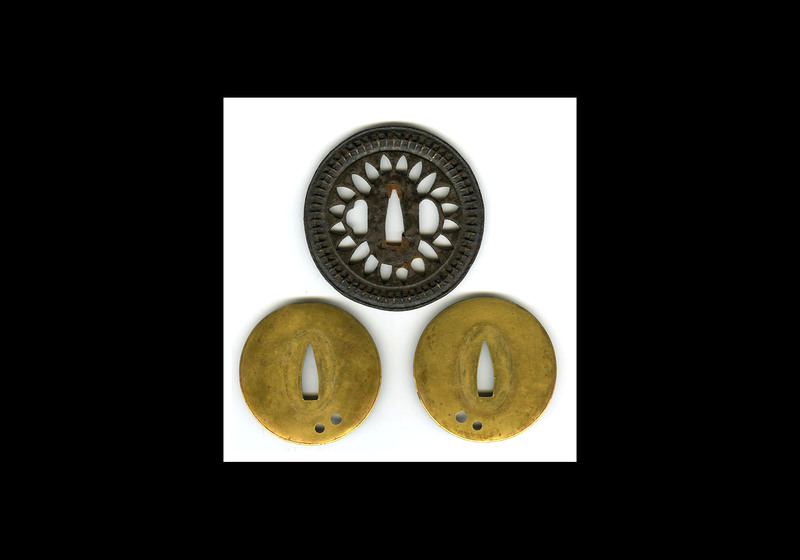 The hangers are gold washed copper and bear family crests. 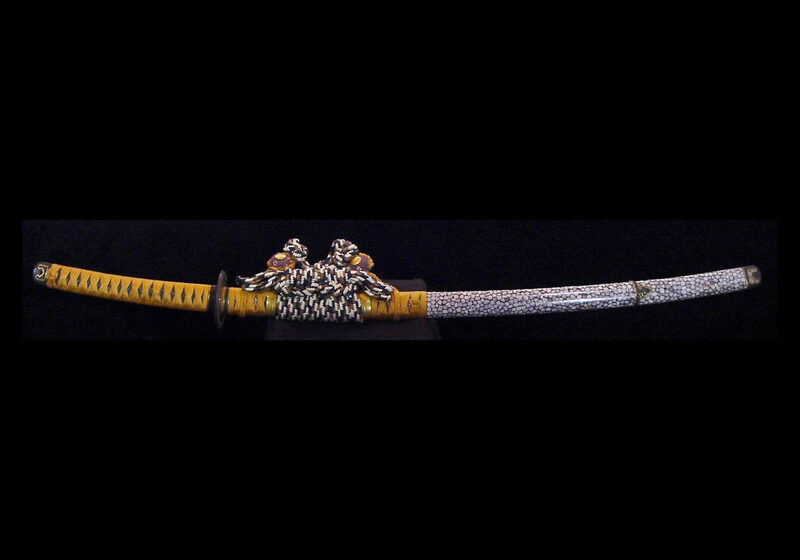 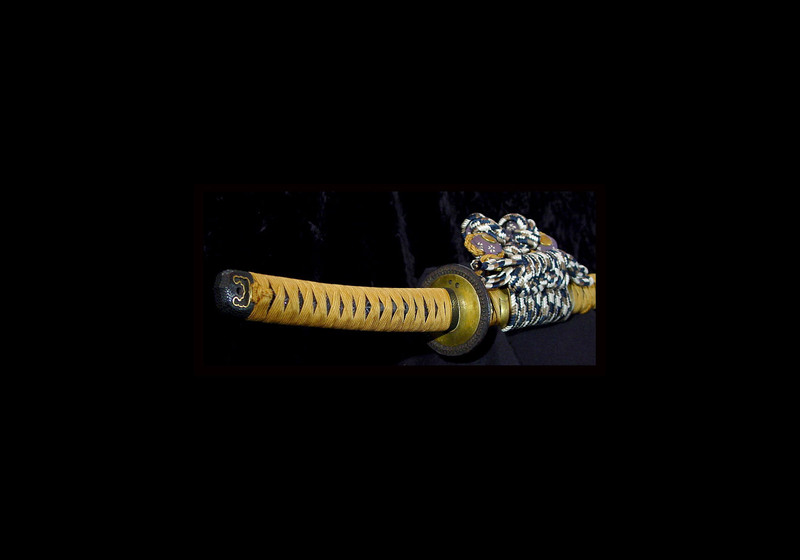 The tsuka has same that is lacquered black and bear menuki that are shakudo in the form of Buddhist vajras. The tsuba is especially interesting. 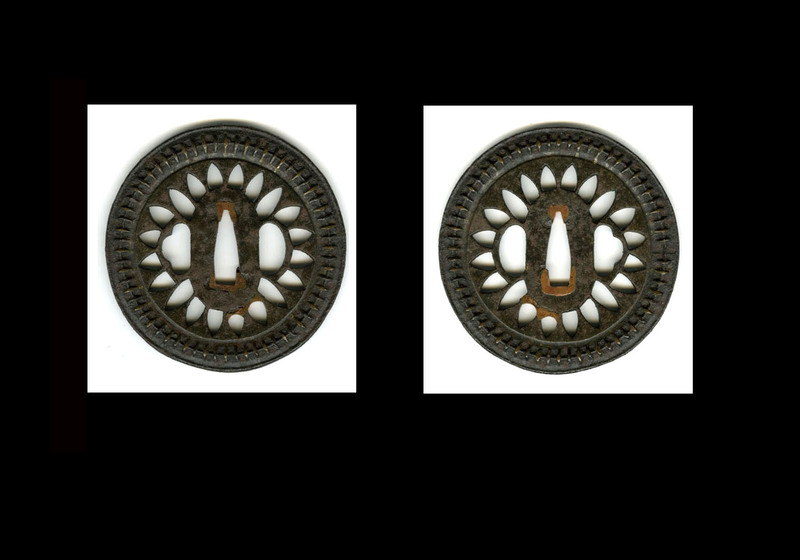 It looks to be an older mukade (centipede) or Shingen style tsuba that was converted with the addition of two round gold washed copper plates to form this unusual tachi tsuba. 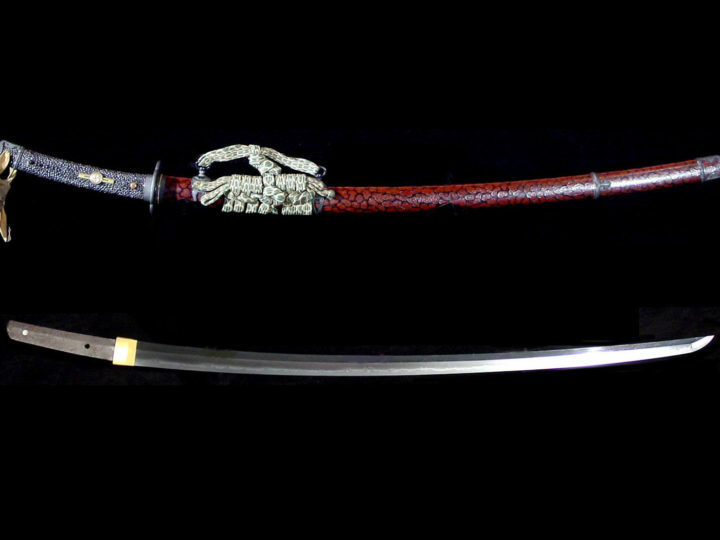 The tsunagi blade measures 27.25 inches or 69.2 cm of cutting edge. 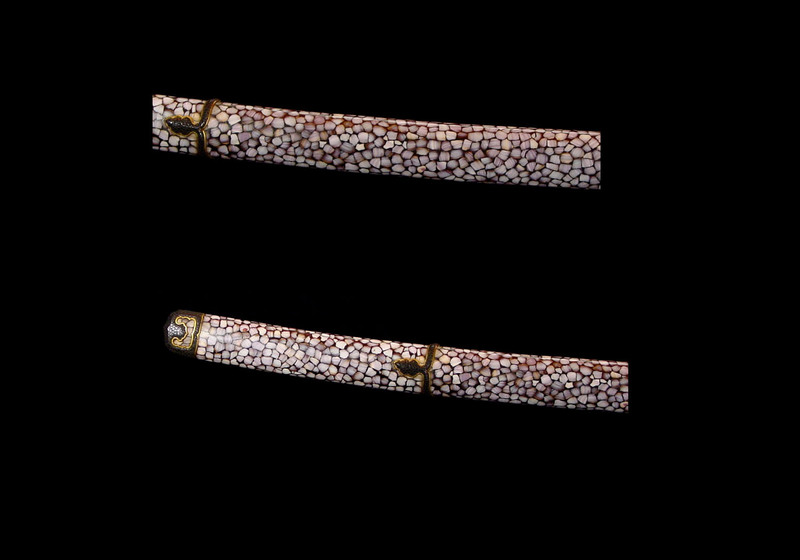 The moto-haba is 1.15 inches or 2.93 cm. 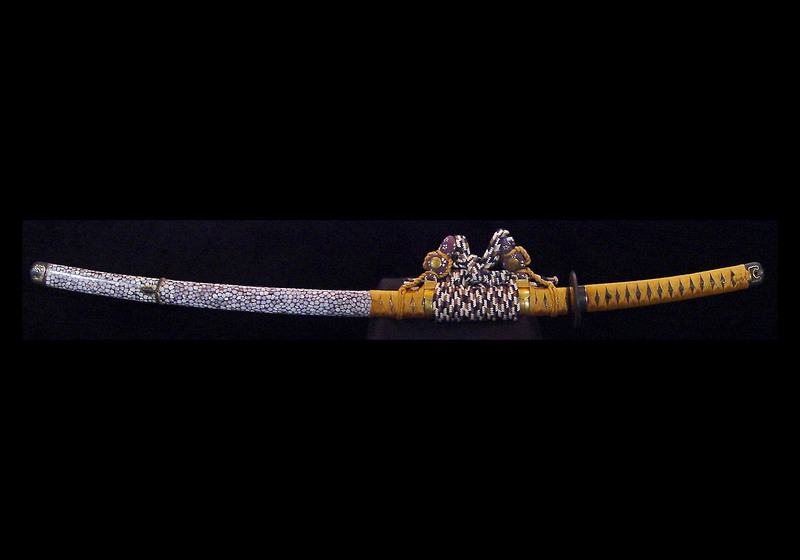 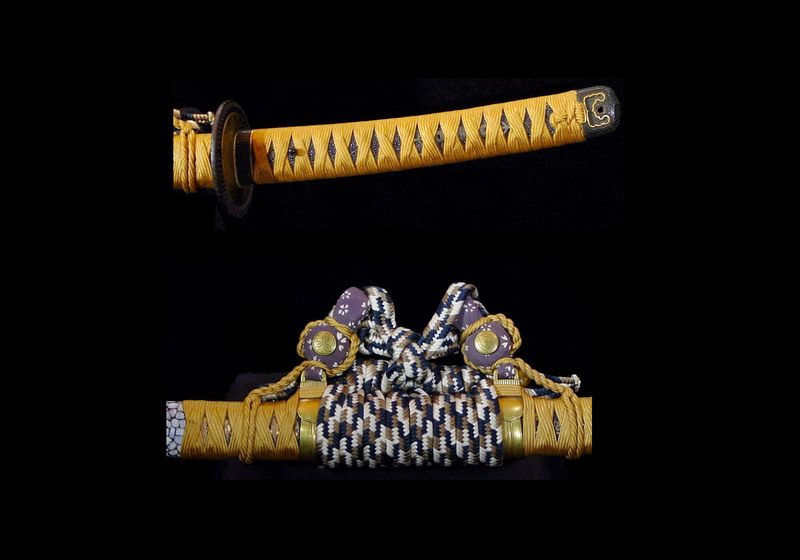 The saki-haba is .79 inches or 2.0 cm and the sori of the blade is .61 inches or 1.6 cm. 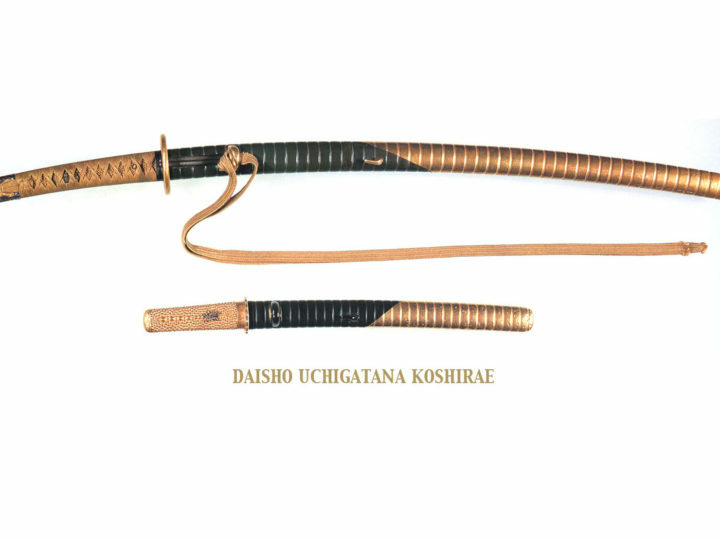 By itself, even without a blade, this is a very impressive koshirae and makes a great display as part of a kodogu collection.